Are you in the market for a pre-owned vehicle that is safe and dependable? If so, then there are few automotive manufacturers that are more highly-regarded for safety and dependability than Chevrolet. 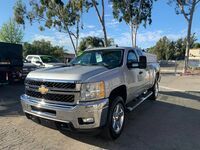 If you are interested in purchasing a pre-owned Chevrolet vehicle, then you are in luck, as you can find a nice selection of used Chevy vehicles right here at Simple Car in San Marcos, CA! Chevy has been manufacturing vehicles in the automotive industry for well over 100 years. One reason the brand has survived so long is the commitment to manufacture safe and dependable vehicles that customers are sure to love! Only a few manufacturers in the industry have been in existence for as long as Chevy. Let’s explore the Chevrolet model lineup and the aspects that make them great together! 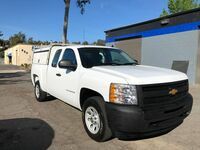 If you are interested in exploring the Chevrolet models in the Simple Car pre-owned inventory for yourself, then you should contact the staff today! Our team is happy to answer any questions that you might have about our pre-owned Chevy vehicles! Visit our dealership in San Marcos, CA for more information or to explore our excellent pre-owned inventory today!